This comprehensive volume provides an unprecedented illustration of the potential for visual methods in psychology. 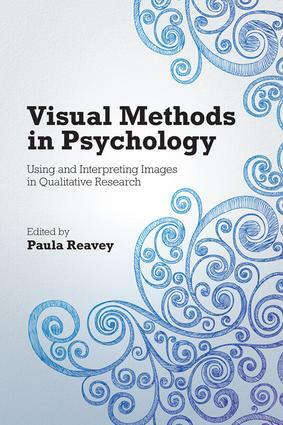 Each chapter explores the set of theoretical, methodological, as well as ethical and analytical issues that shape the ways in which visual qualitative research is conducted in psychology. Using a variety of forms of visual data, including photography, documentary film-making, drawing, internet media, model making and collages, each author endeavors to broaden the scope for understanding experience and subjectivity, using visual qualitative methods. The contributors to this volume work within a variety of traditions including narrative psychology, personal construct theory, discursive psychology and conversation analysis, phenomenology and psychoanalysis. Each addresses how a particular visual approach has contributed to existing social and psychological theory in their topic area, and clearly outline how they carried out their specific research project. The contributors draw on qualitative sources of verbal data, such as spoken interview, diaries and naturalistic conversation alongside their use of visual material. This book provides a unique insight into the potential for combining methods in order to create new multi-modal methodologies, and it presents and analyses these with psychology specific questions in mind. The range of topics covered includes sexuality, identity, group processes, child development, forensic psychology, race, and gender, making this volume a vital contribution to psychology, sociology and gender studies.